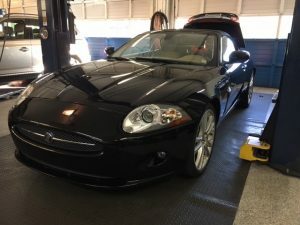 We had a great success this week resolving the starting/running issue with our clients 2007 Jaguar XK Convertible. Our great team had found the issue with the vehicle to start was found to be a problem with the Powetrain Control Module. There is no Local Jaguar Dealer in Southern Oregon, but fortunately we had invested in our AUTOLOGIC Diagnostic Equipment for Jaguar over 10 years ago and continue to update our software for this and other Euopean Autos. 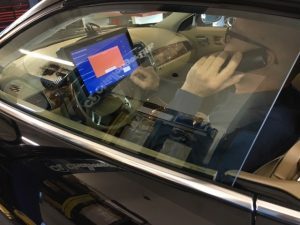 Our technicians were able to re-install the new PCM and have a one-on-one phone programming live help with the kind folks with AUTOLOGIC headquarters to assist us with the process entailed to program the new module. 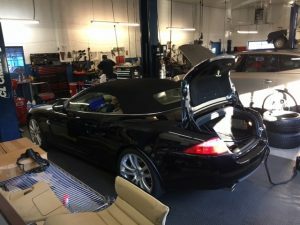 I love seeing our team complete success stories like this one, and we saved the customer from having to tow their car 250 miles away to a Jaguar Dealer.